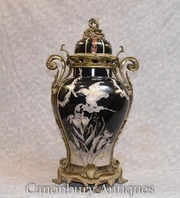 Find free classified ads for Antiques for sale, collectibles for sale for sale and to buy in London. Shown below are classifieds for Antiques for sale, collectibles for sale. Please use search box above to find other items in Antiques for sale, collectibles for sale London or look at the London for neighboring places in the locality. Choose from Antique Jewellery in Nigel Norman Fine Jewellery. See High collections with a new range of jewelry. We have beautiful Antique collections with beautiful designs. See our Antique Necklace with quality. •	An unusual and finely detailed Victorian necklace of heavy quality in silver and 18-carat gold depicting a hunting scene of hounds chasing a fox, a stag and a deer in excellent condition. Contact John Bird Antiques: Antique Shop in Petworth, West Sussex, UK Read More: http://www.johnbirdantiques.com/. WANTED Biscuit Tin that contained ANZAC Biscuits see attached photos. Issued around 2005 in the UK for the Royal British Legion..
Orange Tower is the brand name for online shopping in United Kingdom. Orange Towers was born from industry professionals coming together bringing their expertise to deliver quality goods to the general public and businesses at affordable prices. Orange Tower Currently offer assorted fabric felt, Ink Pad Premium foam sheet, paint color, tissue paper and much more. Acquisitions offer high-quality Antique Fireplaces in London and surrounding areas. We provide installation for all types and styles of fireplaces and stoves. Our collection of traditional fireplaces includes elegant mantels in English marble, French marble and much more. Contact us today to give your fireplace a traditional and elegant look. 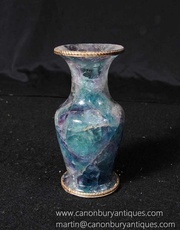 - Come view this in our Hertfordshire showroom, just 25 minutes north of London - Gorgeous English Blue John fluorite urn - Blue John is a type of fluorite stone mined in Derbyshire, England - This type of stone is only found in one part of the world so very rare - Gorgeous urn with ormolu fixtures - Offered in great shape, no damage and ready for home use right away - Will ship to anywhere in the world, please email for a shipping quote Dimensions are in inches: Width x Depth x Height 4 x 4 x 7 Visit - http://bit. - Come view this gorgeous piece in our Hertfordshire showroom - Wonderful French refectory table in oak - Perfect for that farmhouse look - very solid and chunky - Check out the hand carved bulbous legs with acanthus motifs - Bought from a dealer in Avranches, Normandy - Ten feet long - We've got various farmhouse chairs to match so please let us know if you are looking for a complete dining set - Will ship to anywhere in the world Dimensions are in inches: Height x Width x Depth 30 - 120 - 47 Dimensions are in CM: Height x Width x Depth 76 - 304 - 119 Visit - https://bit. Shop the luxury and large Victorian breakfront bookcase/secretaire for your home decor with Large piece with secretaire desk to centre so multi use and hence practical and Glass fronted top with adjustable shelving for books and other pieces. 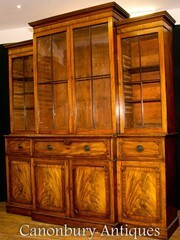 Classic antique bookcase and we are expecting a lot of interest. 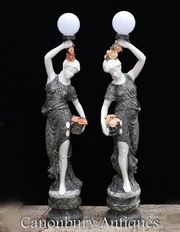 - Stunning pair of giant hand carved female figurine lamps - Stand in at over six feet - 195 CM - tall - Artist has skillfully captured the beauty of the female form, check out details like the folds to their dress - Marble is smooth and chip free - Great piece for the lawn or garden - You can view these - and all our other large bronze architectural pieces - at our special outside section where we display all our larger garden and architectural pieces - Please let us know if you would like to view this piece in our Canonbury Antiques Herts showroom, just 25 minutes north of London - Offered in great shape ready for home use right away - We ship to every corner of the planet - please get in touch for a shipping quote Dimensions are in inches (CM) Width x Depth x Height 20 (51) x 20 (51) x 77 (195) Visit - https://bit. No need to worried that what floor mirror look best for your house. We bring you a gorgeous antique French empire pier mirror at amazing price, it looks elegant and royal and fulfils your wish to look an wonderful house. We sell online and ship to every corner of the planet. Visit- https://bit.ly/2QGwz9g. Such a gorgeous three bottle glass and silver plate decanter set which you get such a relevant price. This bohemian crystal hop nail cut glass is every interior designer dream. We are offering in great shape ready for home use right away. We ship to every corner of the planet. For more info visit - https://bit. - Gorgeous Chinese porcelain happy buddha in the Qing manner - Hand painted and very characterful - Great collectors piece - Please come and view in our North London / Hertfordshire antiques showroom, open to the public - We ship to every corner of the planet - please get in touch for a shipping quote - Offered in great shape with no damage and ready for home use right away Dimensions are in CM (Inches) Height x Width x Depth 38 (14) x 44 (17) Visit - https://canonburyantiques. - Gorgeous pair of French painted floral glass lamp bases - Pink colour scheme offset by ormolu fixtures - All that's required are matching lamp shades - Please let us know if you would like to view this piece in our Canonbury Antiques Herts showroom, just 25 minutes north of London - Offered in great shape ready for home use right away - We ship to every corner of the planet - please get in touch for a shipping quote Dimensions are in inches (CM) Width x Depth x Height 13 (33) x 13 (33) x 15 (38) Visit- https://canonburyantiques. 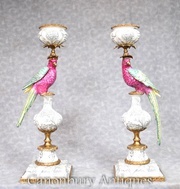 - Unique pair of French porcelain tropical parrot candle sticks - Such a bright and breezy pair with intricate porcleain parrots and gilt fixtures - Definitely one to add light and oomph to any interior - Please see close up photo of factory stamp on the underside Please let us know if you would like to view this piece in our Canonbury Antiques Herts showroom, just 25 minutes north of London - Offered in great shape ready for home use right away - We ship to every corner of the planet - please get in touch for a shipping quote Dimensions are in CM: Width x Depth x Height 8 (20) x 8 (20) x 23 (58) Visit - https://bit. - Elegant single Chinese black porcelain painted lidded urn - Ormolu fixtures are original and include cranes - Love the colour scheme, every interior designers dream - Great collectors piece and we are expecting a lot of interest Please let us know if you would like to view this piece in our Canonbury Antiques Herts showroom, just 25 minutes north of London - Offered in great shape ready for home use right away - We ship to every corner of the planet - please get in touch for a shipping quote Dimensions are in inches (CM) Width x Depth x Height 14 (35) x 12 (30) x 26 (66) Visit - https://bit. 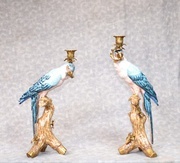 - Gorgeous pair of French porcelain parrot candle sticks - Distinctive blue offset by blue porcelain birds - a delight - Bought from a dealer on Marche Biron at Paris antiques markets Please let us know if you would like to view this piece in our Canonbury Antiques Herts showroom, just 25 minutes north of London - Offered in great shape ready for home use right away - We ship to every corner of the planet - please get in touch for a shipping quote Dimensions: height 46cm width 16 cm length 27. - Wonderful French bronze art nouveau style winged fairey figurine - Piece is signed Moreau on the base and this is a later recast from the original - Great patina and wonderful collectors piece - Please let us know if you would like to view this piece in our Canonbury Antiques Hertfordshire showroom, just 25 minutes north of London - Offered in great shape ready for home use right away - We ship to every corner of the planet - please get in touch for a shipping quote Dimensions are in inches (CM) Width x Depth x Height 16 (40) x 11 (28) x 23 (58) Visit - https://bit. She is a kneeling damsel emerging chrysalis like from her cocoon of stainless steel, her bronze face is first to emerge into the light. An original hand crafted 24 inch high kneeling figure, created out of stainless steel washers, The whole sculpture is polished and mounted on a 15.5 by 10.5 inch acrylic base. A one off original hand crafted 25.5 inch high bronze figure, inspired by the main character in the opera Rusalka by Dvorak, and her song to the moon. Created out of over a 100 pieces of bronze sheet cut to shape, hand crafted and all welded together to form the complete sculpture. For more information visit our website:-https://www. - Come view this in our Canonbury Antiques showroom just north of London in Potters Bar, Herts - Gorgeous English Victorian library step in mahognay - Chunky hand carved features include egg and dart trim - Opens out at back to reveal cabinet - Real collectors piece, great on it's own or to be used as a library step - We ship to every corner of the planet - please get in touch for a shipping quote - Offered in great shape with no damage and ready for home use right away Dimensions are in inches (CM) 21 (53) x 18 (45) x 17 (43) https://bit. 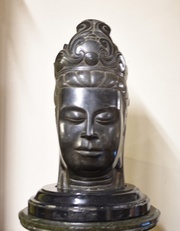 - Unique and collectable antique Cambodian buddha bust - We date this to circa 18th Century - Great rendition, hand carved out of a single block of black marble - Note if you'd like to view in our Herts showroom please contact us first as some of our goods are in storage but we can arrange for it to be ready for a viewing with slight advance warning - We ship to every corner of the planet - please get in touch for a shipping quote Dimensions are in inches (CM) Width x Depth x Height 12 (30) x 12 (30) x 19 (48). - Stunning French Sevres style porcelain jewellery box in the shape of a grand piano - How stunning is this? Really great collectors piece - Floral sprays are very vivid - Please see close up of factory stamp on underside - Come view in our Canonbury Antiques Hertfordshire showroom, just 25 minutes north of London - Offered in great condition with no signs of damage and ready for home use - Please contact for a shipping quote, we ship to all over the world Dimensions are in inches: Width x Depth x Height 8 x 15 x 9 Dimensions in CM Width x Depth x Height 20 x 38 x 23 For more info - https://bit. - Fascinating set of four marble plaques of Roman Emperors - Emperors included are Augustus, Caesar, Caligula and Claudius - Great collectors set and can be hung on the wall - Pink marble plaque with hand carved Emperors in white marble - Great architectural piece and we are expecting a lot of interest -. 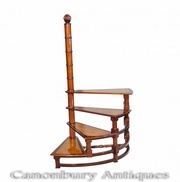 Buy the Gorgeous Black lacquer Victorian Butlers stand or valet for your home deco, Your own personal Jeeves in black lacquer, Lots of racks to hang shirts and trousers, plus the shoe stretchers its Bought from a dealer on London's Church Street... Width x Depth x Height 22 (56) x 15 (38) x 42 (106). 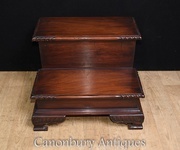 Buy this Stunning style Victorian library ladder step great looking for the country house which comes with a ladder made as Hand crafted from walnut with mahogany trim solid and sturdy. easy to look in our large North London. Click here: Dimensions in CM: Height x Width x Depth 182 x 53 x 63. 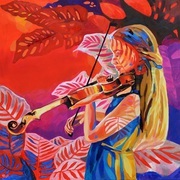 Anna Masiul-Gozdecka - I was inspired by music and botanical world in the same time. The diffusion of this two worlds I see as most beautiful, delicate, and interacting with soul, giving extreme calm and pleasure. £1762.3 Original oil painting Size: 100 x 100 x 2 Cms (Unframed) Ready to Hang Canvas Visit Art Prism for more, We have a fantastic range of original drawings, paintings, prints, photographs and contemporary sculptures to suit all tastes. 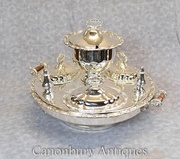 Gorgeous English Sheffield silver plate lazy susan or dumb waiter server. Piece serves numerous functions as a hot plate to keep food warm and the whole things revolves for ease of serving . The food would be heated by having hot water inside the main vessel. More Info - http://bit.ly/2nUFYt6. 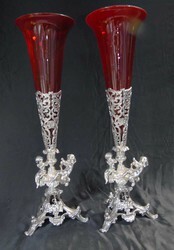 You are viewing a elegant pair of silver plate and cranberry coloured glass rose vases. The vases in turn sit on the silverplate base which has pedestal feet. They are offered in perfect condition as a pair at affordable price and ready for home decorative use right away. For more details visit our site! https://www. 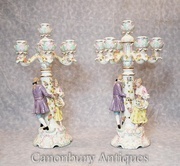 You are viewing a simply stunning pair of German porcelain candelabras in the Meissen manner. The design features a male and female figurine around the central column. The candelabras feature a wealth of hand painted details on all parts, including the maidens dress and her fine features. This is a piece of art and suits at any location, this comes to you such an affordable price. United Kingdom free classified ads for Antiques for sale, collectibles for sale, London, Antiques for sale, collectibles for sale free ads London, Antiques for sale, collectibles for sale for sale London, Antiques for sale, collectibles for sale to buy in London. This page is a listing of classified ads for Antiques for sale, collectibles for sale category in London. This section includes classifieds for sale and to buy in London. 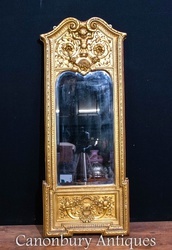 Antiques for sale, collectibles for sale London ads London, Antiques for sale, collectibles for sale classifieds London, Antiques for sale, collectibles for sale free ads London, ads for sale London, ads to buy London, FREEADS in UK. Find here ads for sale, to buy and rent in London. Goods for sale in London, vehicles for sale in London, London real estate for sale, London property for sale, property for rent in London, business ads in London, London business classifieds, services in London, London services ads, jobs in London, pets for sale in London, London dating, London cars for sale.